Lopi Book #35 is all about crocheting with Icelandic wool yarn. This spiral bound booklet features 17 crochet patterns using Einband, Lettlopi, and Alafosslopi. Patterns include garments and accessories for men and women, home decor items, and sweet items for the toddler in your life. This collection was designed by Edda Lilja Guðmundsdóttir. 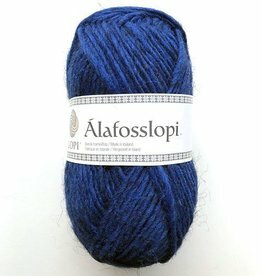 Alafoss Lopi yarn is the lightweight product of the Icelandic sheep. This yarn is considered to be a chunky weight and works up quickly. 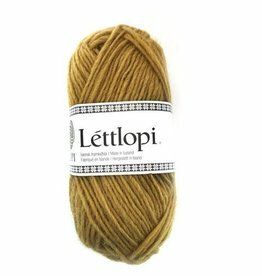 Lettlopi by Istex is an aran weight yarn that is the product of the Icelandic sheep. There is no other yarn like Lopi because it is water resistant, lightweight, and insulating. 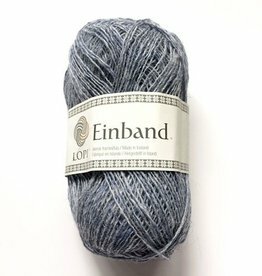 Lopi Einband is a lace weight yarn made from 100% Icelandic wool. This single ply yarn is light weight, yet warm making it ideal for shawls and garments.